Getting help with your computer software can be easier when you know the correct terms to use. One of the biggest problems that new computer users have with technical support is not knowing how to correctly describe the problem that they're having. And it isn't fair to expect a tech support person to automatically know what a "thing-a-ma-jingy," or "whatcha-ma-call-it" is. The following describes the correct names for common components of software so that when you experience a problem, you can effectively describe an issue that you're having and a technician can readily resolve it. 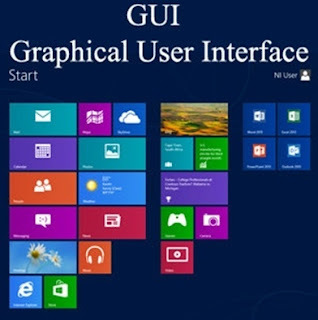 User interface - this is the visual design of a program. It may contain squares, boxes, words, icons, and buttons. If you're experiencing insufficient memory for example, you might see black rectangles across the user interface of your software programs. Title bar - this is the top-most part of a program that displays its own name or it may describe the contents displayed in another part of the interface. If a program is incorrectly coded, you may see a wrong description in this part of its interface. Menu bar - this part of a program displays menu items and menu options. Some of the most common parts of a menu bar grants access to File commands, Open commands, Save commands, and Print commands. An example of an error in this part of an interface would be if an option was missing or grayed out (lighter in color). Tool bar - this part of a program displays small icons across the top which represent tools. Clicking an icon will open a tool or process a command that might also exist on a program's menu bar. Problems in this part of an interface are uncommon, however if you find yourself repeatedly clicking an icon with no results, you can correctly describe the problem by referring to the toolbar. Minimize, Restore, and Exit buttons - these three buttons are usually located on the right-most upper part of a program's interface and each allow you to minimize a program's screen, restore it to its original size, or shut down the program completely. Scroll bar - this convenient tool allows users to move data up and down the computer screen. Status bar - this part of a program is located at the bottom-most part of its interface, and it usually displays small messages that indicate the progress of a command or task. If programmed incorrectly, an application might display the wrong information in this area. Context menu - like the menu bar, a context menu displays when a user right-clicks on something. It displays commands just like what you see on a File menu or a Help menu. Input box - input boxes are usually small rectangles that allow you to type data into a simple interfaces like a webpage or browser window. If you find that you can't type information into one of these, you can effectively resolve the issue with a technician by calling it an input box, rather than a "white rectangle," or "place to put in text." Button - buttons perform a command after a user clicks them with a mouse. Problems occur when the text of a button is grayed out or if it doesn't appear to sink into the screen when clicked. Check box - a check box is a small box that allows a user to indicate several choices among many. When clicked, a small "x" displays inside a box. Similar to the check box, a radio button allows a user to indicate a single choice among many. Problems with radio buttons and check boxes occur when a user makes one choice, but the interface reacts as if the user made many choices (or none at all). When describing a problem to a technician, be sure to indicate whether the problem occurs with a check box or a radio box. Computer novices mistakenly interchange the names of both of these controls.